Your Scottsdale Electrician in Scottsdale, Arizona understands that electricity is the single most important element necessary for creating safety and comfort within your home. Our qualified and professional electricians make your home more comfortable, attractive, and valuable with Scottsdale electrical installation as well as services and repair of fixtures, outlets and much more. From general services and repair to new construction and code corrections, we have always based our reputation on customer satisfaction. We believe that our client’s safety and satisfaction comes first. When you hire your Scottsdale electrician, you can be assured that you will receive the prompt and professional attention that you are looking for. We will provide you with intuitive and expert solutions for all your electricity-based needs. 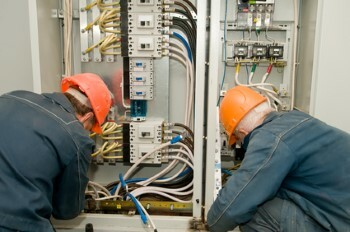 We provide same day Scottsdale electrical installation – services and repairs. We are also offering 24 hours and 7 days a week emergency service in Scottsdale, Arizona, and surrounding areas. Our licensed and experienced electricians perform timely and quality work. No job is too big or small for us. We can handle the smallest residential electrical repairs to the largest residential electrical installations. Whether your home is new or old, you are currently remodeling or adding new rooms – we have the perfect solution for all your electricity needs. Our staff also cleans up any mess that occurs during installation, services, and repair. So what are you waiting for? Contact Your Scottsdale Electricians in Scottsdale, Arizona for all your Scottsdale Electrical installation, services and repair needs.